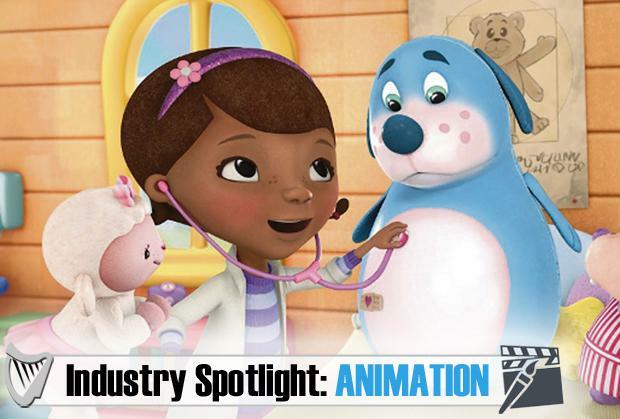 Ireland’s animation industry has undergone substantial growth in the last decade, now employing between 1,500 – 2,000 people across the country. Here are five key things you need to know about the industry, which has become a firm fixture in our digital and creative economy. Some of the main players in the industry in Ireland include Brown Bag Films, Salty Dog Pictures, and Pink Kong Studios. The industry is represented by Animation Ireland, which was formally launched in 2016 with the main aim of raising the profile of Irish animation studios internationally and promoting Ireland as the best destination in the world to get animated content produced. According to a pre budget report from Animation Ireland, the economic spend from the amination sector can range between €50m and €100m in any one year. Just under two thirds of that spend is Foreign Direct Investment (FDI), meaning that €30m to €60m from foreign sources is been invested directly into the Irish economy. There are several factors which will drive growth in the industry according to the Animation Ireland report. These include increased digital access to customers, the recruitment of key talent, increased funding, and the attraction of more FDI. FDI is key, as the majority of any budget for an animated production in typically sourced through FDI, with a production budget typically breaking down as being 32pc Irish investment and 68pc international investment. Interested in alternative energy sources on your farm?